The diamond is the best known gemstone in the world and still increasing in popularity. It is mostly known as a clear gemstone, though colored diamonds do exist. They are called fancy diamonds and can be far more expensive than the ‘normal’ white diamond. What Are Diamonds and How Are They Formed? A diamond is a strongly bonded carbon crystal. 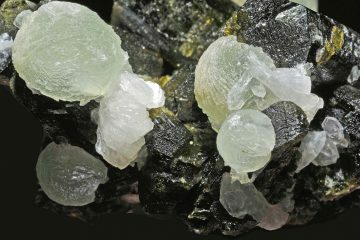 They are the hardest natural material known to man, with a hardness of 10 out of 10 on Mohs hardness scale. Flawless diamonds are only able to be scratched by another diamond. This is what makes diamond engagement rings currently the most popular engagement ring of all, despite its price-tag. It can be worn every day without losing its luster like some of the softer gemstones such as for example kyanite, peridot or kunzite. Despite being the hardest gemstone it can still be shattered, this characteristic is used when cutting diamonds. 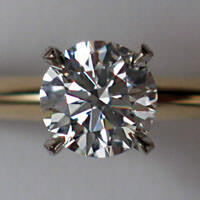 Depending on how the diamond can be cleaved a certain shape is chosen, though the round brilliant shape is by far the most popular today. 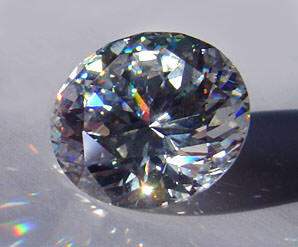 Most diamonds are formed at extreme depths in the earth. Usually between 140-190km depth though there are reports that they can form at greater depths as well. The extreme forces that the diamond is subjected to is the reason for diamond being nearly indestructible. After being formed at these depths most diamonds never make it to the surface. The diamonds need to be transported upwards by volcanic activity. However most volcanic activity never takes place at depths below 50km.This makes the transport of diamonds to the surface a very rare event. The pace at which these events take place makes most diamonds that do get to the surface extremely old. They can have an age of between one and three billion years! 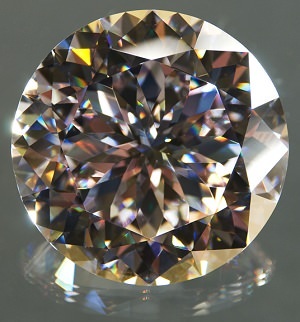 Colored diamonds, especially those with a deep color, are extremely rare. The reason for this is that the diamond is an extremely strong gemstone and only a few elements can be bound by it. 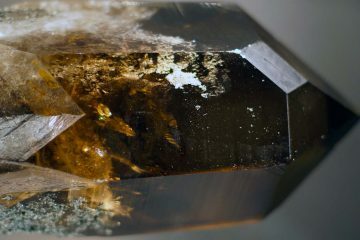 The most common contaminations lead to a brown or yellow diamond. The word contamination is used lightly above. Many people consider some of these colored diamonds to be far more beautiful than the colorless diamond. Irradiation and deformation of the crystal can lead to several other colors: green, blue, pink, orange, purple and red. The name diamond can be lead back to its most remarkable property, its hardness. The Greek word “adamas” means unbreakable or not-alterable. Diamonds have been in use as gemstones for several thousand years. 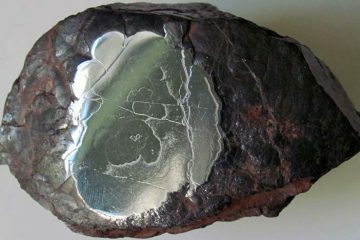 Not only as gemstones with significant religious value, but as tools used in engraving as well. Find out about some of the most famous diamonds in the world. In more recent history the diamond has gradually increased in popularity. New cutting techniques, new shapes in which the gem was cut, increased supply and most importantly extremely successful advertising all played their part in this. Most famous is of course the slogan ‘diamonds are forever’ coined by De Beers. De Beers, instead of focusing on its own brand, focused their advertising efforts on diamonds in general. Their hold on the diamond industry, which was a virtual monopoly at times, meant that most of the benefits of this advertising went to them regardless. Decades of advertising proved very successful and their advertising campaigns are considered to be one of the most innovative and successful ever. However in the last decade they slowly moved away from controlling the trade. While they still account for 40% of all raw diamonds production, they recently have lost their number one position. In the last few years they have been focusing on the brand De Beers instead of the generic product. Most likely because their advertising was now helping the competition as much as it was helping themselves. There are plenty of alternatives for your engagement ring, like a sapphire for example or even the new zultanite. However, you simply cannot go wrong with diamonds. They truly are marvelous gemstones and a high quality diamond will perhaps not last forever, but it should certainly last you a lifetime! The diamond is the modern birthstone for April as well as one of the two traditional birthstones, the other being the blue sapphire. Avoid wearing your diamond jewelry when doing physical labour. 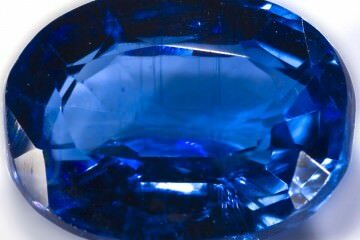 This gemstone has a very high hardness so it will not scratch easy. 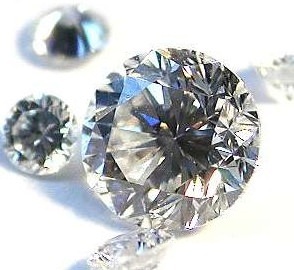 Chipping or breaking a diamond is still a possibility when struck against a hard object. Before you put on your diamond ring or necklace inspect it. 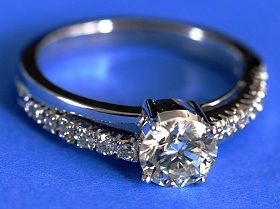 Over time the setting may be worn down a bit, loosening your diamond. Losing your diamond will ruin your day and inspecting will only take a few seconds. If you find something wrong or missing please bring it to a professional. Trying to fix it yourself could easily make matters worse. Use lukewarm water and soap when you are cleaning diamonds. A soft toothbrush can be used if something is still sticking to the surface after rinsing. Use a soft towel to dry off your jewel. Nothing else is really needed, diamonds are fairly easy to care for. Store your diamonds separately, they can easily scratch other gemstones. On top of that like almost any gemstone diamond is harder than the jewelry itself, so that too can be scratched. My suggestion is to buy a jewelry box with plenty of compartments for your precious jewelry. Diamond value is based on a system called the 4 C’s. These four C’s stand for Color, Cut, Clarity and Carat. Most important of these is color, the less color a diamond has the higher its price. They are graded on an alphabetical scale going from D to Z. The closer to D the more valuable the diamond. It is possible to move beyond Z, but you will be moving into the colored diamonds section. Where diamond value starts to increase again when colors get richer. Most established jewelers are only selling near colorless or colorless diamonds ranging from J to D.
Cut is very important as well. Here cut refers to the quality of the cut, not to the diamond shape. Getting a high quality cut will increase the brilliance of your gem. The facets will act as a mirror, but not if the diamond cutter has not cut the stone properly. In that case light will not be reflected effectively and your diamond will not shine as brightly. A ‘very good’ or ‘good’ cut is a good compromise between quality and price. If you absolutely want the best gemstone possible you can go for ‘excellent’ or even ‘ideal’ diamond cuts. Like always you will pay a high price for quality though. This is especially true in the world of diamonds. Clarity is quite important as well, to learn more about it please read my article here: Diamond Clarity With Diamond Clarity Chart. Carat is the standard way to measure diamond weight. A carat is 1/5 of a gram. Diamond carat is not as important as the other factors for determining diamond prices. Unless you are dealing with high carat diamonds which are extremely rare. The first and most important reason, which is far more important, is the sale of simulants. The most important of these are moissanite and cubic zirconia, seen to the right. These simulants are very convincing and it’s unlikely that you will notice the difference unless you are a professional. The second reason is treatments and enhancements, while not commonplace, are used by unscrupulous dealers. They range from removing inclusions, sealing cracks to giving a white diamond a fancy color to increase its value. These treatments are then not disclosed and the dealer will, in effect, sell you an inferior product for the price of a high quality product. The last reason is the fact that there are synthetic diamonds (man made diamonds) on the market. When buying a colorless diamond there is hardly any chance to run into a synthetic diamond, because the process mostly produces yellow and blue diamonds. It is something to keep in mind though when buying colored diamonds. If this is not reason enough to buy your diamonds at a reputable store, you will receive better advice and support there as well. In my eyes when you are buying a gemstone that will last you a lifetime skimping on quality and support is the last thing you should do. For more information and general tips see my guide on buying gemstones online.